Sleeping with Dogs is the record of one man’s passionate affection for the dog, rooted in his early childhood and lasting undiminished into his dotage. These were for the most part dogs discarded and left to fate – tied to the railings of Kensington Gardens, found with a broken leg in the wilds of Turkey, adopted from an animal rescue home, passed on by the vet – but there was also a whippet of noble pedigree and three generations of a family of crossbreeds in which the whippet strain was strong. They were not pets, but indulged friends and companions, with all of whom he shared his bed, and who richly rewarded him with loyalty and affection. 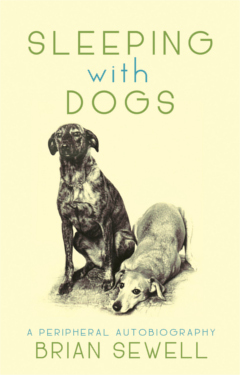 This is not a sentimental or determinedly anthropomorphic book – the dogs remain steadfastly dogs. It is observant and records the canine society of dog and dog as much as the relationship of man and dog. It is, at the same time, a deeply touching account of the lives and very different characters of seventeen dogs over eighty years or so, ranging from Jack Russell to Alsatian through half-boxer, half-pointer and half-Karabas, to purest indecipherable mongrel. Is there any dog lover who will not wish to read this book?